When you choose a Certified Pre-Owned Mercedes-Benz, you can rest assured that you’ll be driving home to Scottsdale in a high-quality vehicle that has gone through a thorough inspection process. And when you also take advantage of our Certified Pre-Owned National Offers, you’ll be getting a smart price on your CPO vehicle as well. 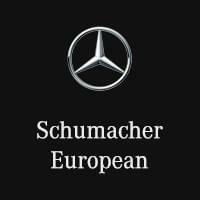 Browse our current Mercedes-Benz offers before heading to Schumacher European to get behind the wheel of a vehicle you can feel good about. When you’re ready to explore our used luxury vehicles near Fountain Hills, contact us to schedule an appointment. Our team is standing by to help you find the right luxury vehicle for the right price.